ai?? 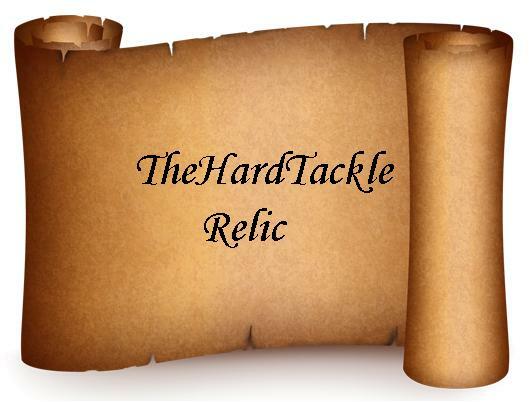 ?TheHardTackle Relicai??i?? 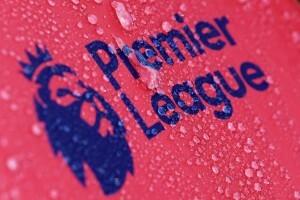 is a semi-regular column which dusts off the pages of football history. It intends to walk you down memory lane and relive events, players and teams long forgotten. Today we take a look at a national team which doesn’t exist any more. All that is left is a football club to carry its legacy forward. A German football club which has won the French domestic league. – Real Madrid legend Ferenc Puskas said this to Sandro Mazzola after Inter won against the Madrid giants in European Cup (1964). ai?? ?With great power, comes great responsibilityai??? reads a great line from a very famous flick, In the case of Sandro it was ai?? ?with a legendary surnames, comes great expectationsai???. Life is never easy for a son who plies the same trade as his father, who was a legend in his times. Valentino Mazzola was more than a legend, he was one of the best footballer the world had ever seen. 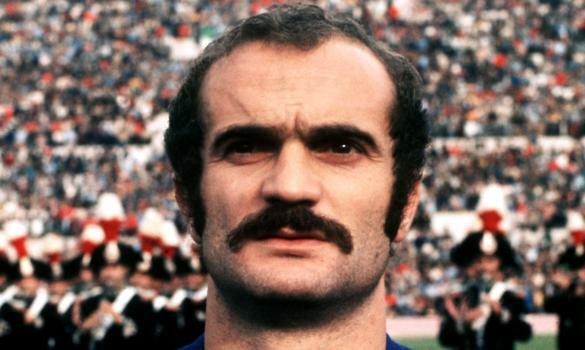 Sandro Mazzola carried the legacy of his father and did it with style. Here is the heart warming story of how the baton was passed on from a father to his son. ai?? ?He (Valentino) alone is half the squad. The other half is made by the rest of us together.ai??? Valentino was born in Cassano dai??i? ?Adda, Milan in 1919. Early life was not easy for the Milanese. He lost his father early in his age and had to leave his schooling in order to help his family, but their was one thing he couldnai??i? ?t leave, football. He continued his growth as a footballer with local clubs, until Alfa Romeo Milano came calling. The factory team signed him at the age of 20. His talent didnai??i? ?t go unnoticed in Italy and soon he was called for the trails by Venezia FC. Incidentally, Venezia also signed Ezio Loik during the same period, Loik and Mazzola would go onto to have one of the greatest partnerships in the history of club and country. It was not a co-incidence that the club from Venice would go onto have the most successful period in its history after signing Mazzola. In the 1942 season, Venezia would go onto win the Coppa Italia beating Roma in the final. Valentino was massive for the club and everyone began to take notice of him. He made his debut for the national team in April 5, 1942 along with his teammate Ezio Loik. Torino began to show interest in Valentino and soon they reached an agreement with Venezia regarding his sale. When this news broke out, the fans were understandably displeased with it. Veneziaai??i? ?s next match was against Torino and the fans taunted Valentino during the match chanting ai???Sell-outai???. Valentino was incensed by the reaction from the stands, he let his annoyance out on the opposition and Venezia won the match 3-1. ai?? ?I was lucky enough to see Valentinoai??i? ?s extraordinary talent close up, there has been no more complete player in Italy before or since.ai??? Valentino was famous for rolling up his sleeves when his team wasnai??i? ?t performing well; it acted as a signal to his team mates and fans. In a match against Roma, Torino was losing the game 1-0 at the break. He urged his teammates to show the opposition how football should be played before the second half started. The match ended 7-1 in favor of Torino. Between 1942/43 and 1948/49 (1944 season was called off due to war) II Grande Torino won five straight Scudetto.Ai?? A record that stands till today. Francisco Ferreira, a great footballer in his own right, played for Benfica from 1938 ai??i?? 1952. Xisco, as he was famously known, received an offer from Torino in 1949 to play for the Italian club. A tribute game was organized in honor of Xisco where Benfica hosted Torino in a friendly match. Xisco was supposed to travel to Turin after this match, to discuss a possible move to Torino. But for Torino and Xisco, fate had other ideas. The flight which carried the Torino team back to Turin after the match got stuck in a thunderstorm as it neared its destination. The flight was forced to descend in order to gain visibility. As the flight descended it crashed against the rear wall of the Basilica complex which is located at the top of the hill of Superga. The crash killed the all the 31 people on-board, which included 18 first team players along with club officials and journalists. It was one of the darkest days in not only the history of Italian football but world football as well. The whole world was in shock and football lost one of its greatest team ever, prematurely. Valentino Mazzola was one of the victims in this tragic event, he was only 30 then. 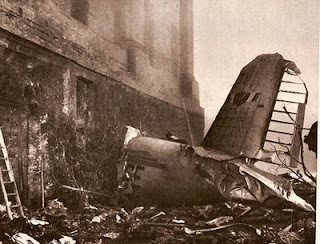 Only three players from the first team squad remained after this crash, Sauro Toma, Laszlo Kubala and Luigi Giuliano, who were not with the team in the flight due to different reasons. Though people tend to remember only facts and ignore all the ai?? ?What ifsai??i? ?, in general consensus it is agreed that the history of this game would have changed had this team survived that crash. There would certainly have been more trophies in the Torinoai??i? ?s cabinet. The Italian national team, which was nearly a Torino eleven, would have certainly performed much better in the 1950s world-cup. There are even question marks whether Real Madrid would have won 5 European trophies on row. It is said that Xisco had put a picture with a black frame of theAi? ?Grande TorinoAi? ?team in this trophy cabinet. ai?? ?The greatest Italian player of all time was Valentino Mazzola; he was a man who could carry his whole team.ai??? ai?? ?One day Benito Lorenzi, the Inter forward who played with my father in the Italy team and was a very close friend of his, came to my house. He asked my mother to let me to go to Milan to become the team’s mascot. Giuseppe Meazza was also greatly affected by the Superga disaster and went out of his way to help my brother and I. The two of us would put on the full Inter kit, walk out with the players and stay by the side of the pitch during the matches. Even as mascots we were on bonuses and we used to get 10,000 lire for a win and 5,000 for a draw. It was a lot of money for our family.ai??? The world had to wait for 12 years, before they saw the return of a Mazzola on the football pitch after the Turin air crash, as Sandro made his debut for Inter against Juventus in 1961. Renowned coach Helenio Herrera was managing Inter at that time. Sandro was part of a team which is considered to be the best Inter team in its history. Sandro quickly rose to fame, partly due to his famous surname and partly due his stellar performances for the club. The attacking midfielder became renowned for his close control and creativity. Sandro made his international debut against Brazilat at the age of 20. He won over the fans with his performances and slowly but surely became their favorite. Herrera implemented the famous Catenaccio tactics into the Inter team during this period. La Grande Inter won the Scudetto in 1962/63, 1964/65 and 1965/66 seasons. They even dominated Europe, as they won the Champions League in 1963/64 and 1964/65 season. In 1966/67 season Inter reached the final again, but this time they lost to Celtic. Sandro also won the European Championship with Azzuri in 1968. He started and ended his career with Inter, making 417 appearances for the club; meanwhile he won over his doubters and became a legend of the game. Despite coming under criticism and having to live with comparisons with his father, Sandro made a name for himself. In fact, like his father, he is considered to be one the best footballers in his generation. He was a man who carried on the legacy his father had left behind. They (Valentino and Mazzola) have won 2 Coppa Italia, 9 Scudetto, 2 European Cups, 2 Inter-Continental cups and 1 European Championship between them. They are surely the most successful and certainly the best father and son to have ever played the game. The legends of the Mazzola family will live on for ever. Tragic,so many of great talent and genius die before full potential is achieved…Reverence,love and respect for 2 who have brought joy 2 many and advanced the game….